I absolutely love this sharpie canvas wall art of the song lyric from the Beatles. I remember listening to this song over and over again on my cassette tape back in middle school probably floating off and dreaming of my latest crush. Good times. 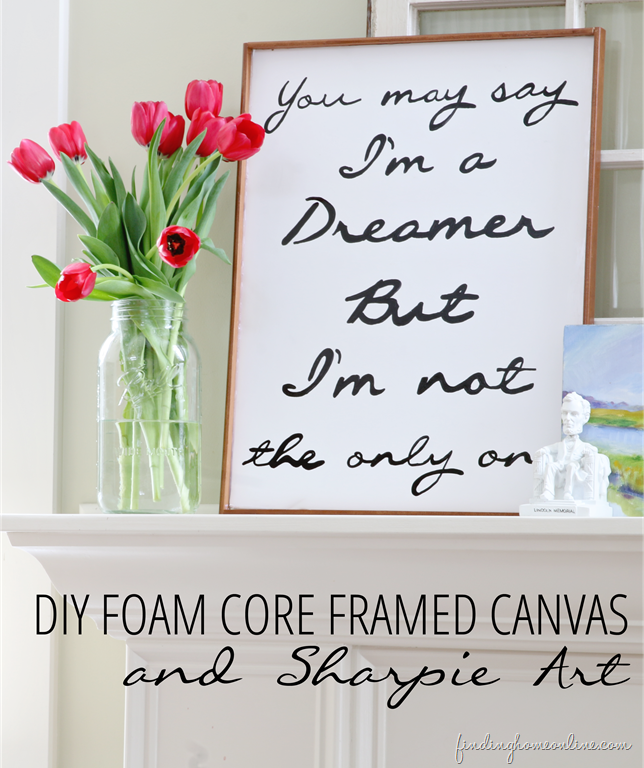 Laura from Finding Home made this super inexpensive piece from foamcore and a Sharpie marker. Who knew that you could make sharpie markers on ceramics permanent by heat setting it? Heather from Whipperberry that is who! 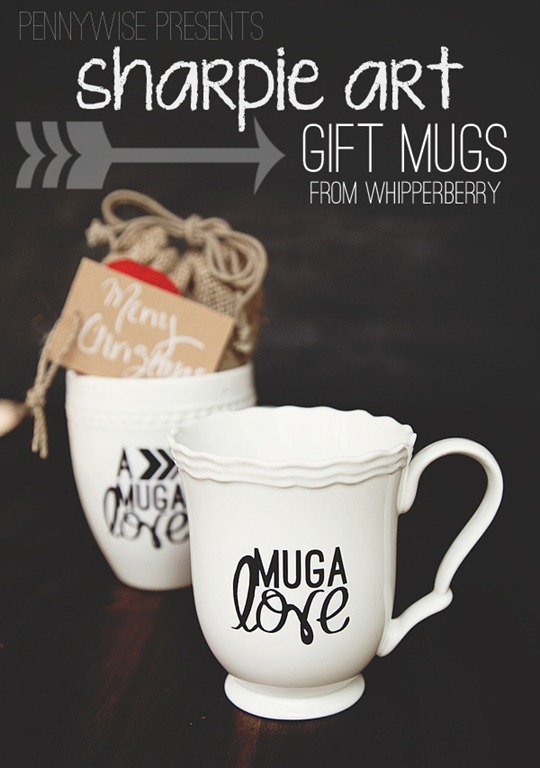 Today she is here to share with us a very simple gift idea using a white ceramic mug and a sharpie marker. I love personalized and custom anything so this is right up my alley.